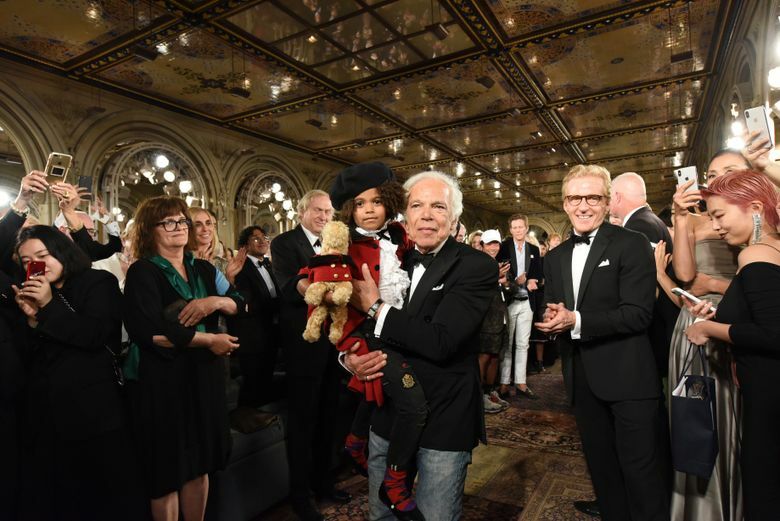 NEW YORK (AP) — A 19th-century fountain in Manhattan’s Central Park provided a majestic backdrop for Ralph Lauren’s star-studded 50th anniversary blowout on Friday, a festive celebration of his past and present that included a runway show and a black-tie dinner. 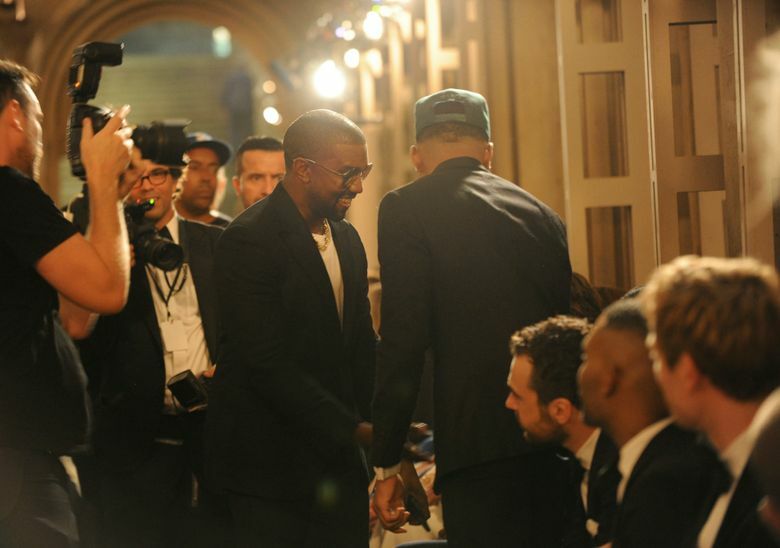 Oprah Winfrey, Steven Spielberg, Kanye West, Chance the Rapper, Robert De Niro, Anne Hathaway, Blake Lively and Jessica Chastain were just a few of the dozens of celebrities gathered to fete Lauren, 78, and his decades atop the fashion world. 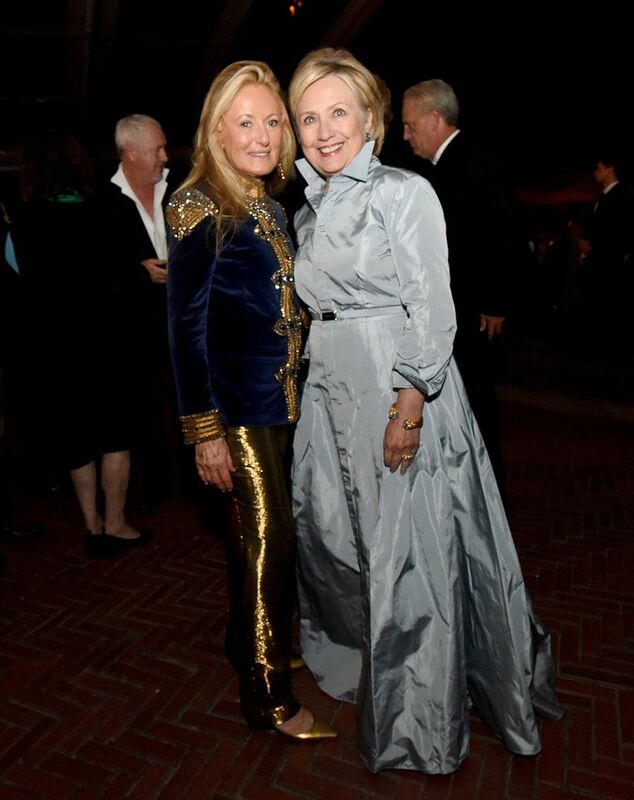 Not to mention Hillary Clinton, who wore Lauren’s designs at numerous key moments of her presidential campaign — including the white “suffragette” pantsuit she wore to accept the Democratic nomination in Philadelphia. Old-fashioned trolley cars met guests on Fifth Avenue and shuttled them into the park, where the Bethesda Terrace and Fountain had been transformed into a party space. Guests sipped cocktails and watched, on towering vertical screens, highlights of Lauren shows over the years. 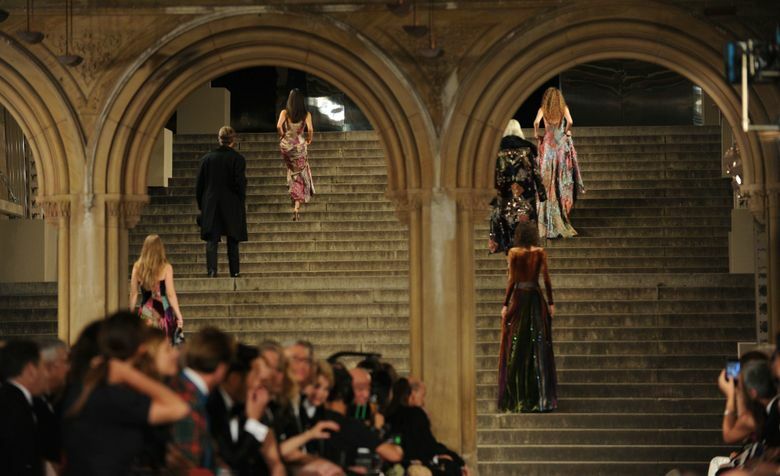 Then, everyone descended a granite staircase to the runway show, where velvet banquettes awaited and oriental carpets lined the floor. 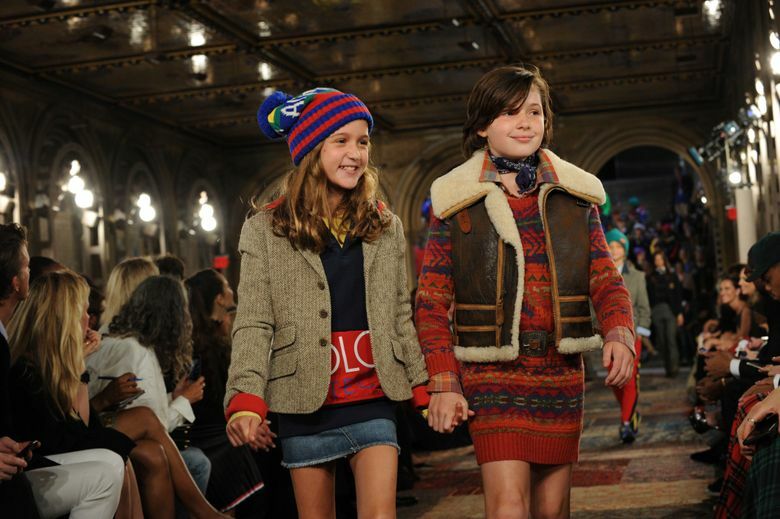 The show, which fittingly began to the strains of Paul Simon’s “New York is My Home,” combined elements from various Lauren collections over the years, and included some older models who had been in early campaigns. 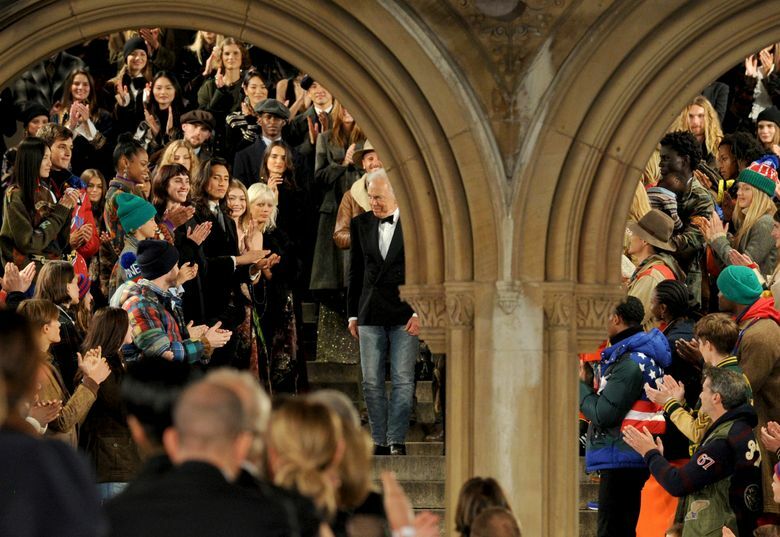 And, in a second half celebrating the family, it included many smiling children, some small enough to be carried by the adults on the runway — and one baby fast asleep. Lauren himself appeared on the staircase at the end, to thunderous cheers. He took a slow victory lap across the room while admirers applauded, hugged him if they were close by, or snapped photos furiously. 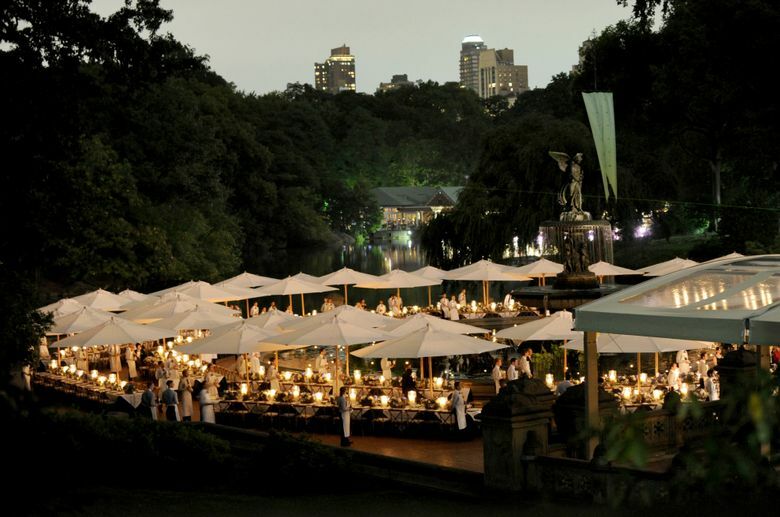 At dinner, which took place around the famous fountain, Lauren told the crowd that, contrary to the evening’s glamour, he wasn’t very glamorous at home. “I walk around in a ripped robe, and no towels,” he said. He was referring to Winfrey’s anecdote, offered in her toast, about how, working in Chicago early in her career, she saw owning Ralph Lauren towels as a symbol of success. “I vowed, if I ever got me some money I would get me some Ralph Lauren towels,” she said — specifically “bath sheets.” And she did. Clinton, who sat next to Lauren, told the Associated Press their friendship dated back to the ’90s, when Clinton was working on a project to save American treasures, and Lauren helped save the star-spangled banner that flew over Fort McHenry during the War of 1812.